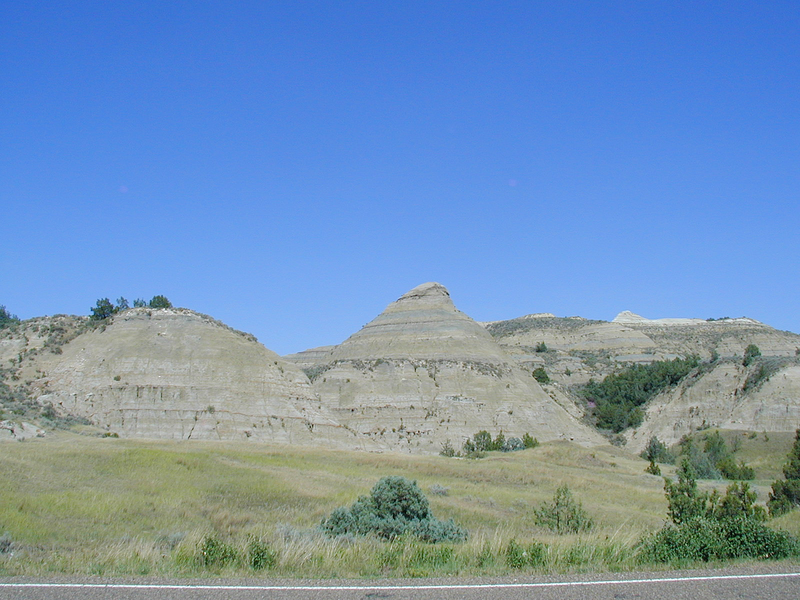 These photos were taken when we visited the South Unit of Theodore Roosevelt National Park in North Dakota on July 22, 2006. Overlook of the North Dakota Badlands at the South Unit of Theodore Roosevelt National Park, North Dakota. 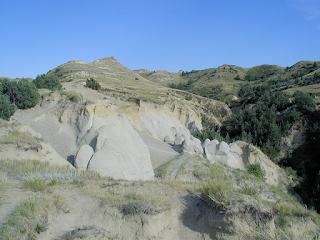 Theodore Roosevelt National Park is divided into 3 sections, the most visited south Section, the less visited North Section, and the even less visited Elkhorn Ranch Unit. 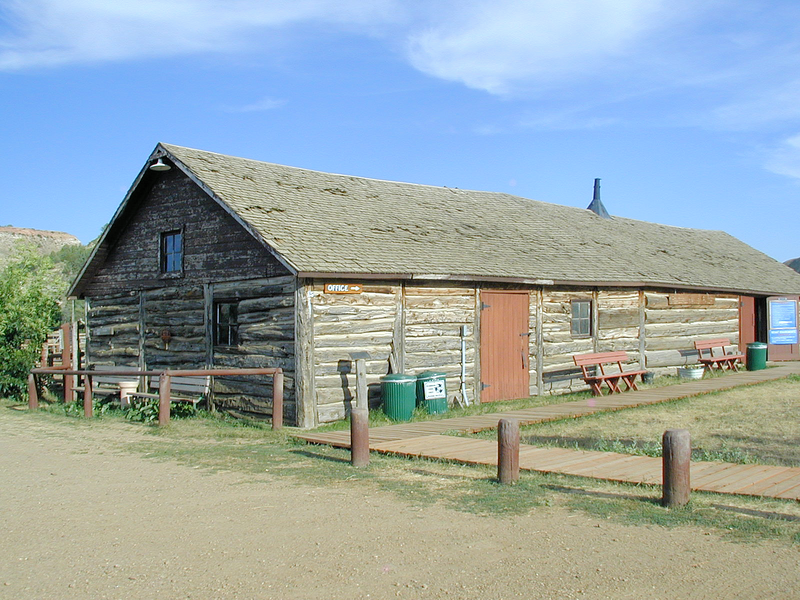 The Elkhorn Ranch Unit is the site of one of two ranches Roosevelt owned in the area, and requires a long drive on dirt roads followed by a 1.4 mile hike to reach. 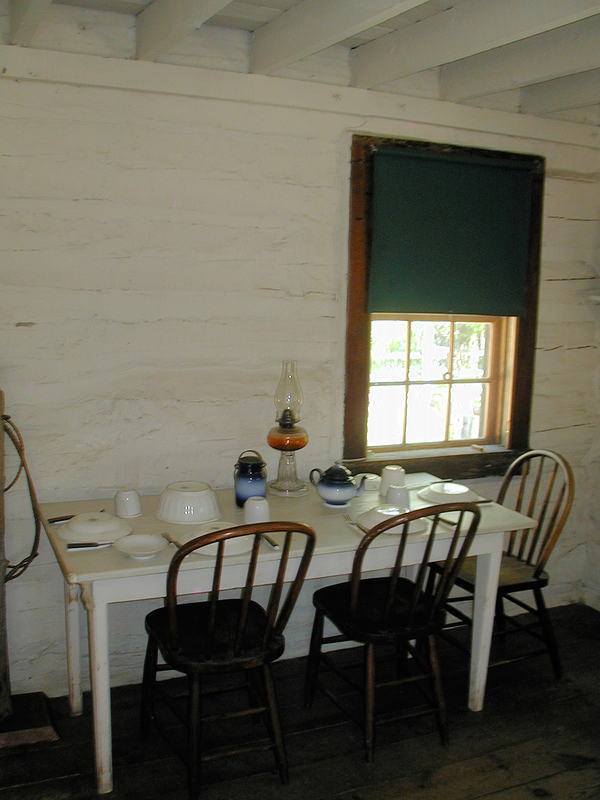 We did not visit the Ranch Unit on our trip. The South Unit of Theodore Roosevelt National Park, North Dakota is much more populated with visitors than the North Unit. 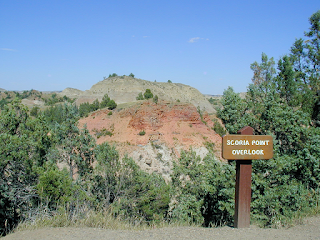 The south unit sits alongside Interstate 94 outside the town of Medora. 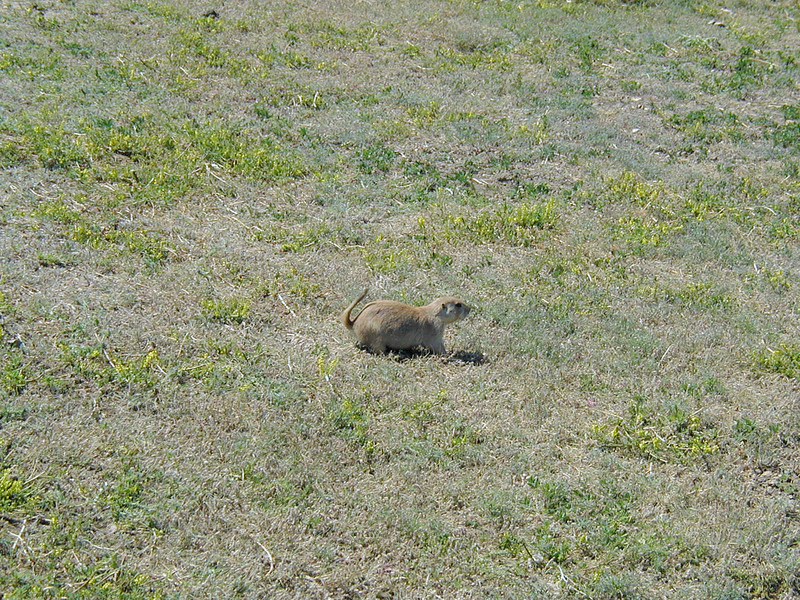 Shortly after driving into the South Unit you come across a large prairie dog town. 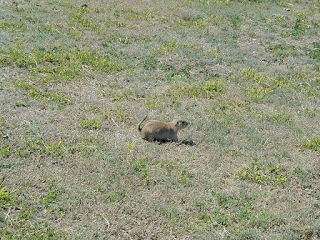 Here's one of the little critters. 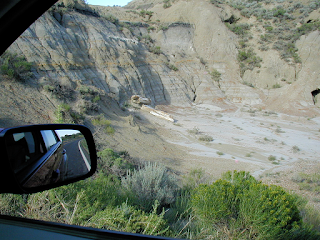 This area has coal layers in the ground. Sometimes the coal catches on fire, when it does the heat bakes the surrounding soil, turning it into a red-color rock called clinker. Locally they call this rock Scoria. 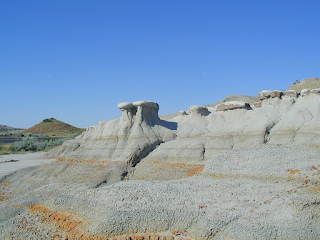 These cone-shaped buttes are formed where a hard rock layer protected the underlying sandstone. 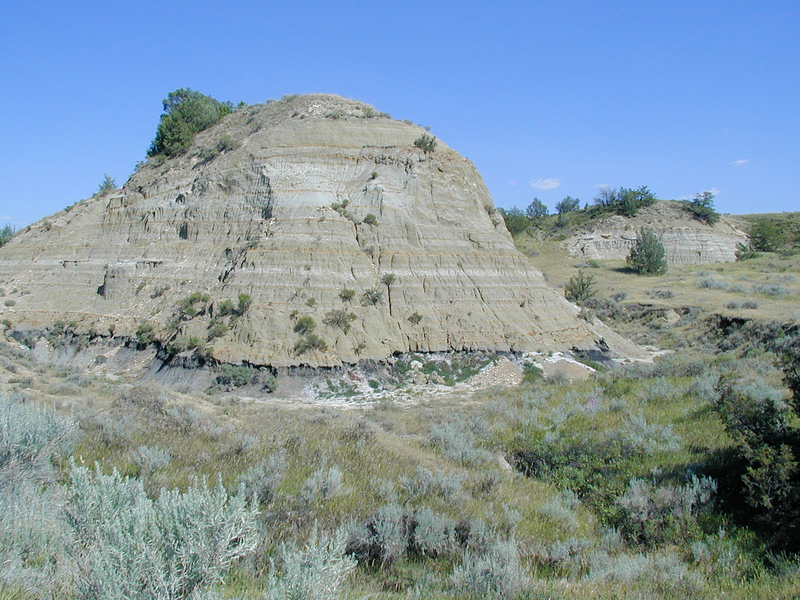 As the sandstone eroded away a cone shaped butte results. You can see a dark color coal seam at the base of this butte. 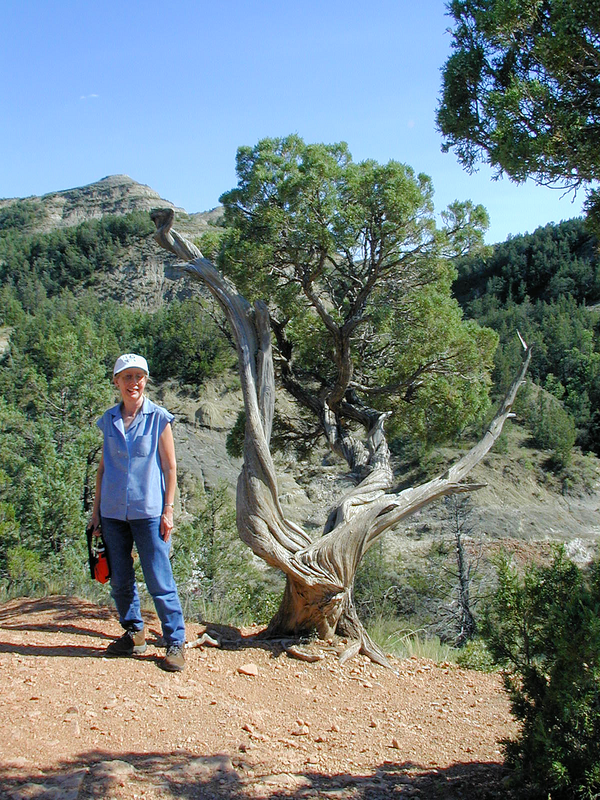 Julie next to a twisted Juniper (Juniperous scopulorum) on the Coal Vein Trail. 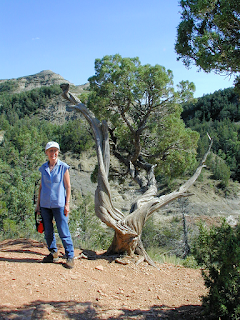 This trail goes through an area where a underground coal seam caught fire in 1951. It burned for 26 years. 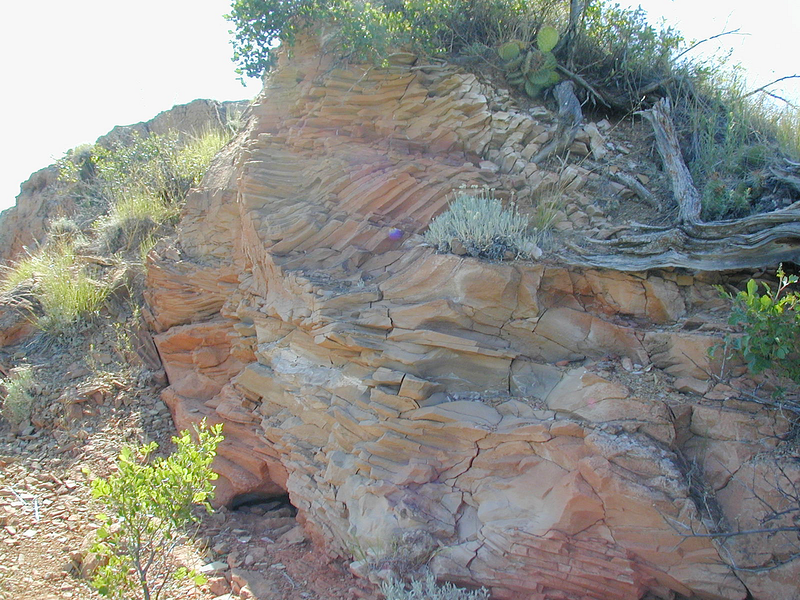 Interesting patterns in the exposed rock. A large outcrop of clinker at the end of the Coal Vein Trail. 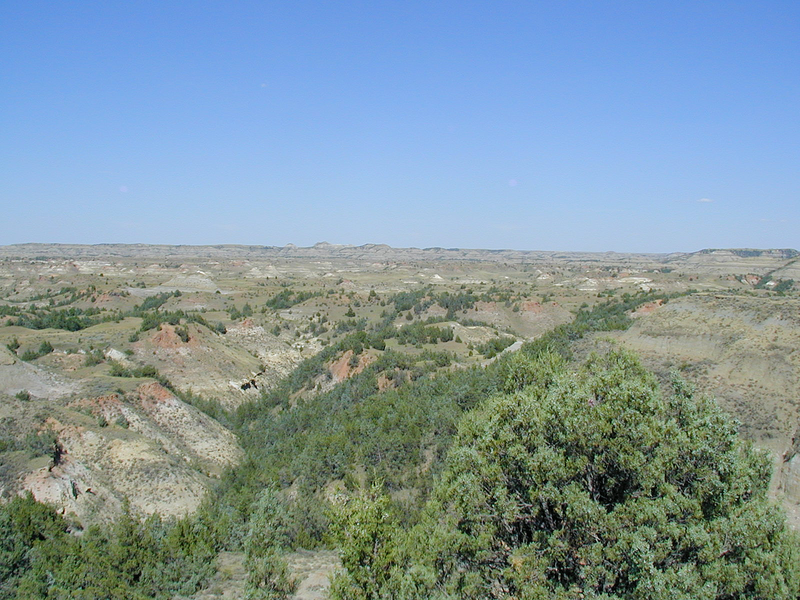 360 Panoramic view taken from the top of Buck Hill. 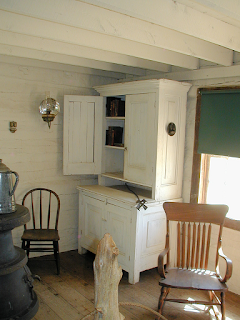 A petrified log. With my rental car mirror. You can crop it as you like! 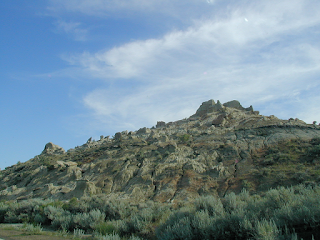 Wind Canyon. 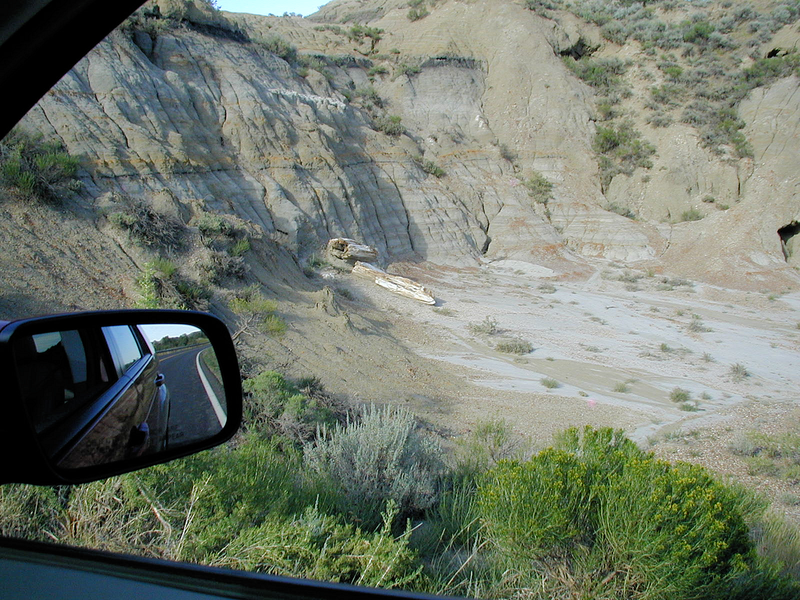 Wind blown sand from the river bed sandblasted the rock in this canyon giving it a very smooth surface. Hillside covered with rain pillars. 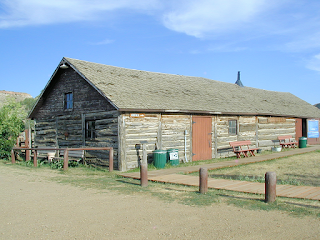 Historic 1880's ranch building at Peaceful Valley Ranch. 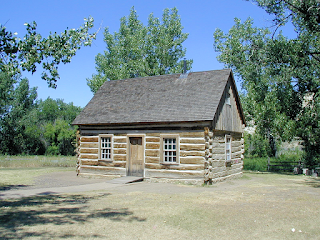 This ranch served as the park headquarters at one time. It now is a riding stable. 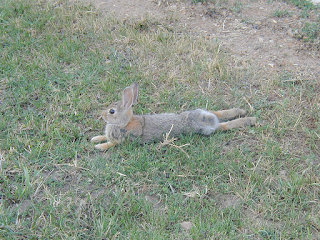 It was very hot during our visit- temperatures near 100 degrees F. This rabbit was sacked out on the lawn in a picnic area. 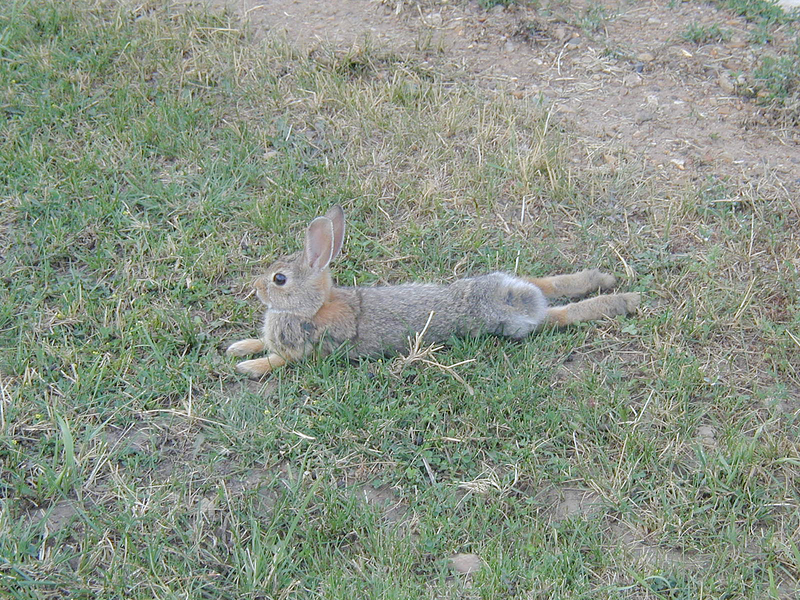 It watched us, but was just too hot to move. We could appreciate how it felt! 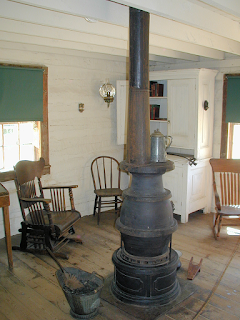 This is the Maltese Cross Ranch cabin. 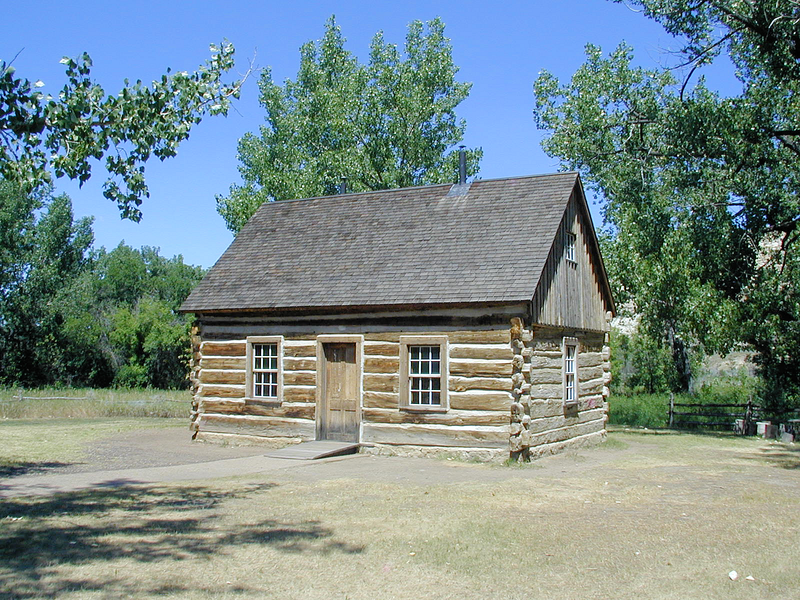 Much of the park was originally a cattle ranch owned by young Theodore Roosevelt, who went on to became the 26th president of the USA. He lived in this cabin at the ranch. 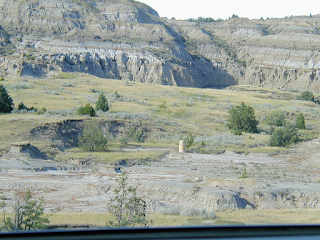 He was born into the rich and well-known Roosevelt family, almost like being American royalty, but came here to North Dakota to "get away" for a while. 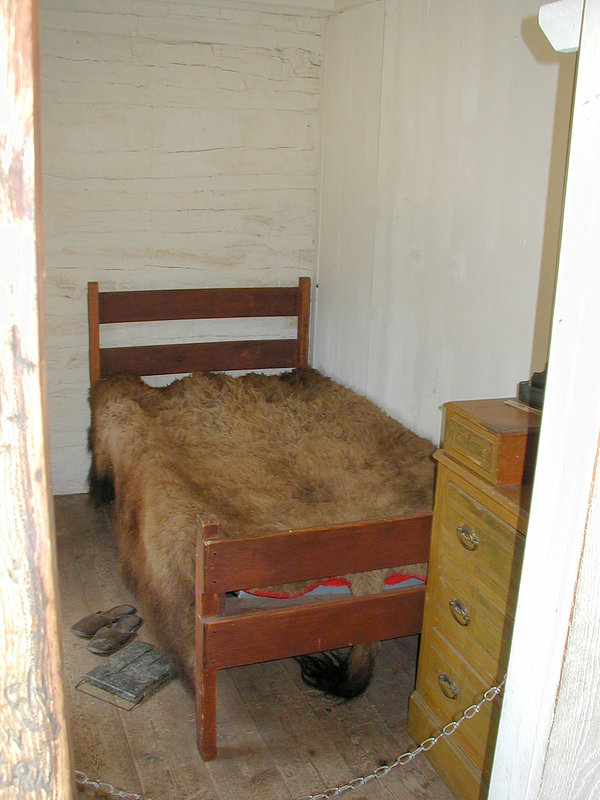 As you can see he lived a pretty simple life here on the ranch. Main room of the Maltese Cross cabin. 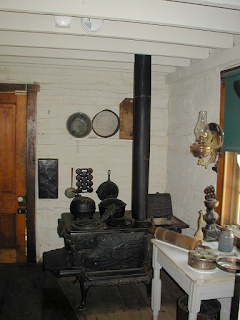 Different angle of same room as above. The right side of the very small bedroom in the cabin. Left side of the same bedroom. 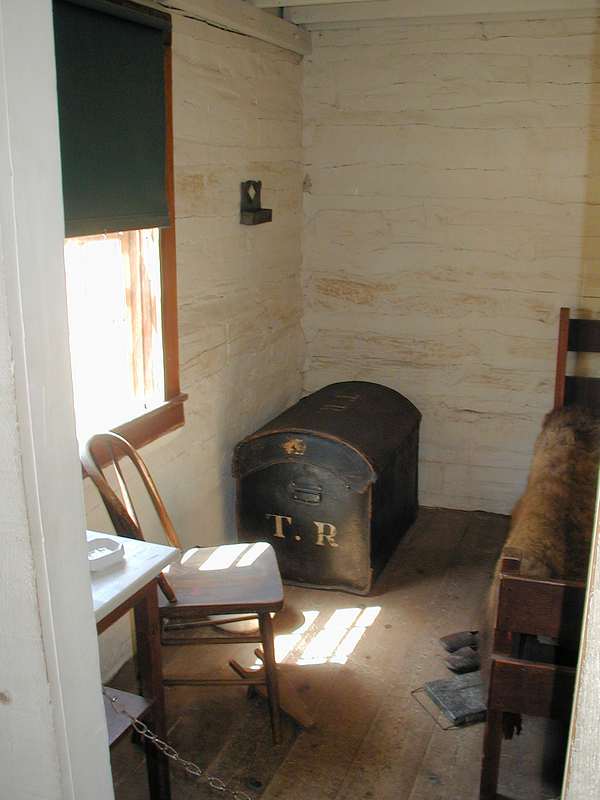 Theodore Roosevelt was the inspiration for the Teddy Bear. 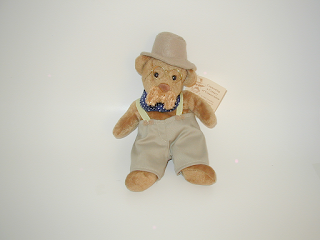 This is a Teddy Bear I picked up at the park gift shop. I couldn't resist buying this Teddy Bear that actually looks like Roosevelt! There's much more of the park to see. 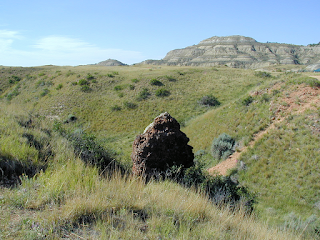 Continue with Stock Photos of the North Unit of Roosevelt National Park.